47737 2.5 years ago Anonymous Efland, NC , US This could not be any more important than it is, right NOW. 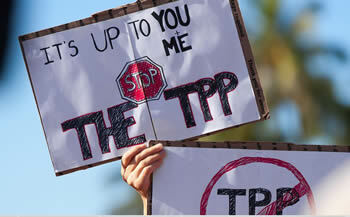 Please reject the TPP! 47734 2.5 years ago Jason Bair Boise, ID , US We need to end all secret trade agreements and legislation that is not read by congress as well as any sponsored bill by lobbying groups that does not benefit all but only the few.